Uttar Pradesh Special Task Force on Thursday claimed to have arrested an Inter-Services Intelligence agent from Meerut Cantt area with sensitive documents related to Indian Army. 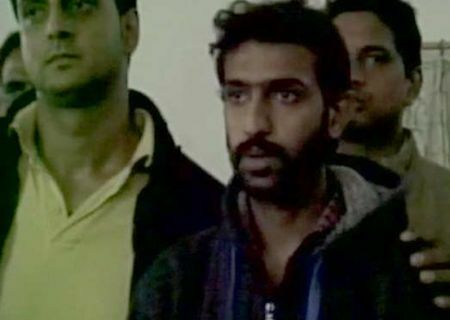 Mohammand Eizaz alias Mohammad Kalam, a resident of Taramadi Chowk, Irfanabad, Islamabad, Pakistan, was arrested by STF team from Meerut Cantt area when he was on his way to Delhi, Inspector General, STF, Sujeet Pandey said. “Documents related to the Indian Army, Pakistani identity proof, fake voter identity of West Bengal, fake Aadhar card in address of Bareilly district, Delhi Metro card, laptop, pendrives were recovered from his possession,” he said. “On information that Eizaz will leave for Delhi from Meerut Cantt station with sensitive and secret information of Indian Army, the STF team arrested him,” he said. During interrogation, the accused revealed that in 2012 he came in contact with the ISI, which trained him to work in India from where he had to send information about the army from western UP and Uttarakhand, Pandey claimed. Is the ISI recruiting Indians as spies?